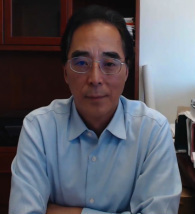 Honghu Liu, Ph.D., an associate adjunct professor, is a statistical and methodological specialist in the UCLA Division of General Internal Medicine and Health Services Research. Dr. Liu has extensive experience in study design, analytical plans and strategies, multivariate modeling and statistical analysis. Dr. Liu has substantial experience with repeated measures modeling and has extensive experience measuring medication adherence for HIV patients.